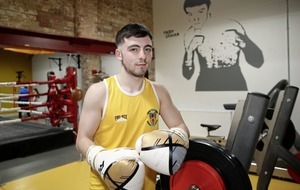 Neil Loughran: Eddie, you’re in Belfast today to showcase Ryan Burnett, but Matchroom have been constantly linked with Carl Frampton in recent weeks. Your flight leaves at 3pm, will you be meeting him or have you met him already? Eddie Hearn: No, no… he was in Vegas [for Conor McGregor v Floyd Mayweather jr], I didn’t meet up with him in Vegas either. I expect us to meet and have conversations. NL: How soon do you see those conversations happening? EH: I guess they’ll be imminent. He will want a fight and he’ll want a fight this year. If he’s going to do it, he needs to get planning because we’re nearly in September. I don’t know his position within Cyclone, there’s been a lot of silence there, but if Carl Frampton is available, I want him. NL: Were you surprised to read his announcement that he was leaving Cyclone? EH: When I heard the news, I was completely shocked because, from the outset, it’s a family, isn’t it? But there must have been major problems. 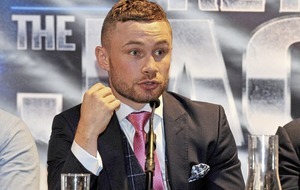 NL: You obviously know Carl Frampton having worked with him previously, but there appeared to be some personal tension between the two of you in the lead-up to last year’s fight with Scott Quigg. How confident are you that you can secure his signature again? EH: Extremely confident. 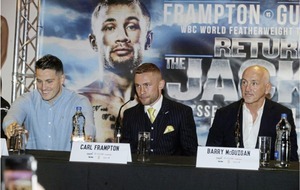 He knows what we can do, he’s worked with us on the Scott Quigg fight – it was the biggest payday of his career so far. I don’t know what turned bad with that relationship [with Cyclone] but obviously he’s extremely unhappy. I would like to get on with him and I think we would get on. 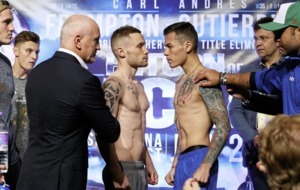 NL: It is understood that Frampton is still under contract with Cyclone – does that create a potential roadblock? EH: I don’t know if that’s the case. I don’t know what they’re saying… it’s a messy process. The one thing that puzzles me is the silence from Cyclone. 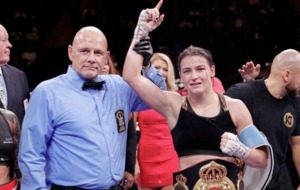 I mean, if I had a fighter under contract and they put out a statement to say they’d left me, the first thing I’d do is put out a statement to say ‘no, no, no, no, no, he’s under contract with us’. I don’t know what’s happening there, but if he is a free agent, we are very interested. NL: There is likely to be plenty of interested parties but, if you were to work with him again, how would you see these crucial years of his career playing out? 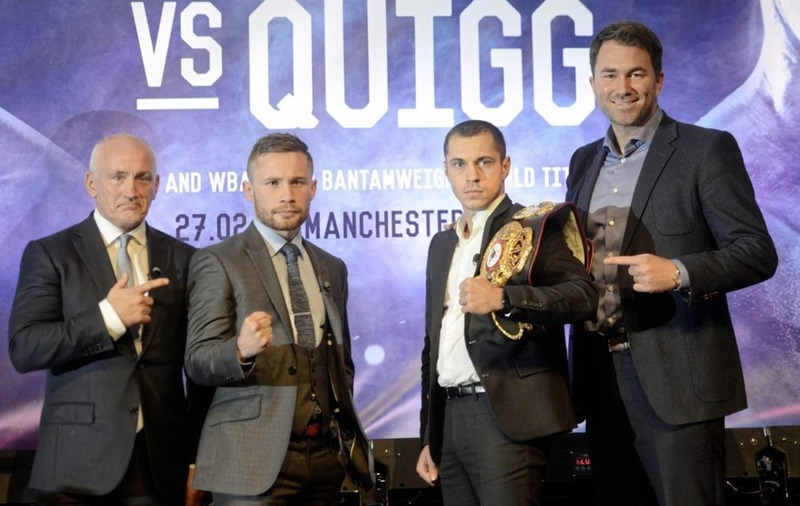 EH: Five fights, and he has to be a pay-per-view fighter. I think he’ll want this warm-up fight or whatever you want to call it because he needs to be active. 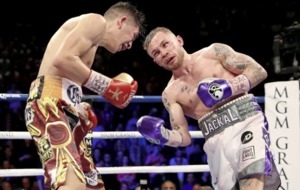 For me, if I’m pitching at Carl Frampton, I’m saying we have that fight, then we fight Leo Santa Cruz outdoors in Belfast on pay-per-view in a massive blockbuster show with Ryan Burnett and Katie Taylor because he is a star, there’s no doubt about that. He’s got to be in those kind of fights and the problem is they [Cyclone Promotions] couldn’t bring Santa Cruz to Belfast. I believe I can. If they get the right offer, they’ll come.